Mold is a problem that you don’t want to let linger. If mold builds up inside the rooms of a home, and the people living there (and visiting there) breathe it in, they’re going to get sick. From headaches to runny noses and then some, mold messes with people’s ability to breathe normally. People weren’t made to live in moldy places. How can you quickly take care of a mold problem? Well, calling Rapid Response Restoration to come professionally deal with it is your best bet. The number is 602-466-2619. Meanwhile, do some research about mold. You’ll find that mold is the result of moisture in the home. Therefore, it behooves you to know where the water/moisture is coming from that’s helping the mold grow. Is there a crack in the wall somewhere? How about broken windows or a hole in the roof? Did the dehumidifier accidentally get unplugged so it has been off for a while? Next, wherever you’re able to notice mold growth, document it. Take photos of it and/or video. Write down the location on a piece of paper for future reference if needed. Are you able to visibly see all the mold there is, or could there be more behind the walls? In that case, you might need a professional to come in and explore to find out to what extent the mold problem has taken over the home. For instance, what if mold has gotten into the HVAC system? That’s obviously not a good thing. Finally, besides calling Rapid Response Restoration to come get rid of the mold, you can open up windows to air out a room. Ideally, you want to do what you can to make it as dry as possible. Run the dehumidifier. 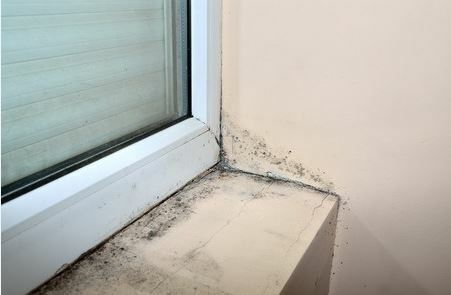 Try to isolate the problem by closing doors and windows so mold spores don’t escape out of the main area they’re in. If there are items covered in mold that you want to throw away, double-bag them using plastic bags and put them in the trash. To get rid of mold, you can use a wire brush and disposable wipes as well as a detergent solution and clean water to rinse things. Ideally, though, it’s best to contact Rapid Response Restoration and have them do it. Mold is no joke– it’s something best removed by professionals who do so everyday rather than you taking a do-it-yourself approach and compromising your health.